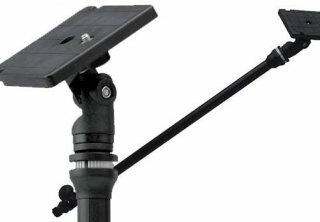 "The Railblaza 60 Camera Boom is one of the best camera mounts that I have used, if not the best. 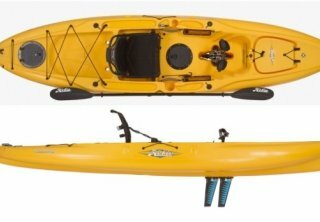 I recently bought a 2nd one and extra mounts so I move it to other kayaks. I mainly use GoPro Cameras for my videos and the platform on the Camera Boom is a secure connection. The rotating access can be moved without having to loosen the settings, so you are able to change positions..."
"A very good launch with parking nearby. It is free. Good LM Bass fishing along shoreline." "This is my first year wearing these pants and I have been pleasantly surprised by the features. 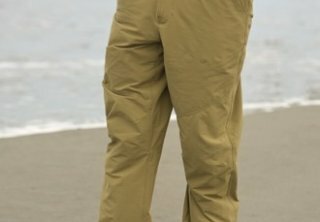 They are comfortable, quick drying, and the tether at the cuff of the pants is functional for, keeping the pant near your ankle while paddling or pedaling your kayak. No more funny sun burns or tans around the top of your ankle. When launching, there is no need to roll up your pants only to have them fall while you..."
"My review will be mostly comments comparing to the 2014 PA14. Speed - I noticed a very distinct difference in the ease of the new Mirage Drive with Glide Technology, resulting in a faster average speed over a long outing. 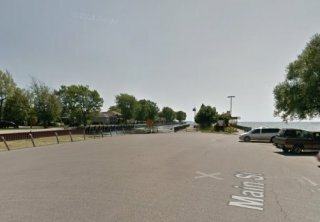 Owning both the 2015 PA14 and Outback with several outings in each of them on the strong current of the Detroit River, I have to say, though the Outback seems faster compared to pedaling the PA14, the GPS..."
"After having owned at one time or another most of the line of Hobie Mirage Kayaks I finally decided to give the Outback a try, especially considering the additions of the vantage seat and a few other small changes from earlier models. At the end of February I picked up my 2015 Blue Hobie Mirage Outback. It sat in my garage for a few weeks as I tried to consider the best rigging. One of the..."
"A couple years ago I received a couple of these paddles as part of a package that I won from an online derby. At that time they were made of wood. My first thoughts were, who could I give them away to, or it even crossed my mind to re-gift. They sat in my garage for over a year. I still don't know why or what gave me the idea to put them in the front..."
This year's Border City Classic ended up being extreme kayak fishing at its best, without sharks, alligators, or tides to contend with. Over 30 mph winds - gusting close to 50 mph - and 3.5”of rain did not keep the field of 122 anglers from getting out on the water. They also uploaded over 200 bass to iAngler. Each time you rig a kayak, there are new products and ideas that could be implemented to help make your human-powered watercraft catch fish - or so we think. The word that always comes to my mind when making rigging decisions is “convenience”. 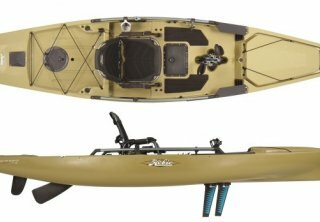 Hobie continues to tweak their 2015 SUV line of fishing kayaks. Both the “Mirage Pro Angler 12” and “Mirage Pro Angler 14” received major updates from the 2014 models. Here is a side by side comparison of the 2014 vs. 2015 Mirage Pro Angler kayaks. No we don't have Alligators or Crocodiles in the Great Lakes Region. We do have what is known as the fish of a thousand casts. Up until a few years ago you rarely saw Kayak Anglers targeting Muskie. 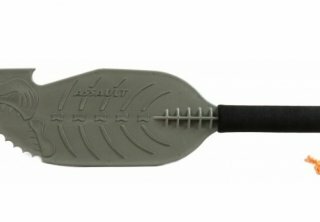 The mention of inviting one of these Freshwater Gators into your small plastic floating vessel, would make even an experienced angler think you should maybe hire a guide and let him help you catch a Muskie in a charter. In the mid to late eighties, I first became aware of computers, software and new technology. Working in a manufacturing environment building stamping tools in the Automotive industry we had to learn and apply the new technology as it came available, otherwise we wouldn't have survived. This strong foundation has kept me up to date with our digital world has it has progressed over the last 30 years.